The innkeepers, Bill Vines and Mary Furlong, understand and respect the needs for business teams to get together outside of the office. Prior to creating the Birch Ridge Inn, they spent many years in industry with corporations including Motorola and Ocean Spray Cranberries traveling extensively to attend meetings, and participate in conferences. Bill and Mary believe that, in Birch Ridge, they have created a unique place to enjoy and escape the pressures of a busy world. It is also the perfect place to take your team of people and escape for a few days, to plan for the future, to figure things out, and to develop personal bonds among co-workers to create a strong team. The Birch Ridge Inn with ten unique guest rooms, provides the privacy to accommodate your group. For your meetings, the facilities of the restaurant, great room, and sitting room are available for your use. High speed, secure, Wifi is available seamlessly through out the building. And, should a team member require it, Birch Ridge is fully configured with ramps, a lift, and handicapped facilities to accommodate the physically challenged or those that need special assistance. All work and no play does not always make for a great staff escape. And that is another reason to take your team away to Birch Ridge. Being avid skiers, golfers, and bicycle enthusiasts, Bill and Mary can help you plan your business meeting to get real work done and to take advantage of the beauty of the Green Mountains of central Vermont. With the best skiing in the east less than a mile away at Killington, and extensive network of hiking trails in Killington, a selection of mountain biking trails from beginner single track to grab your body armor, and 18 championship golf courses within a 40 minute drive, your break out sessions for recreation are assured. 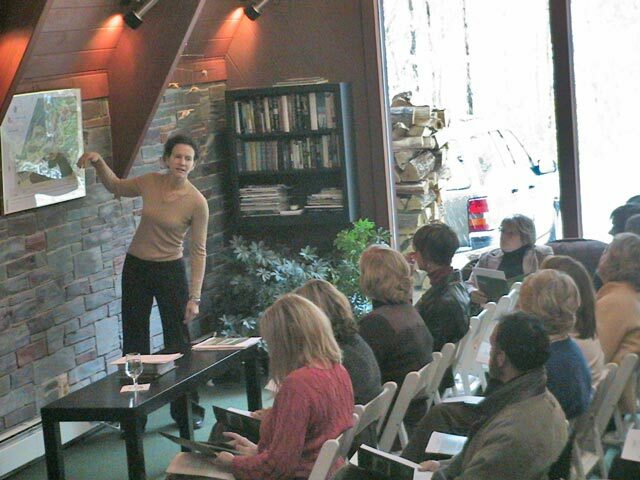 Let us help you plan your next business meeting or conference at the Birch Ridge Inn at Killington.